In the state of Illinois, if you’ve lost a loved one because of another person’s negligence – in a traffic crash or in any other type of deadly accident – the success of your wrongful death lawsuit may depend on how clearly you can explain the issues and the facts relevant to your case. Of course, every wrongful death attorney knows that no sum can fully compensate your family for the unexpected loss of someone you love. Nevertheless, a wrongful death lawsuit can help families avoid financial hardships after a loved one’s death, and a wrongful death lawsuit holds the negligent party or parties accountable. WHAT ARE THE RIGHTS OF WRONGFUL DEATH SURVIVORS IN ILLINOIS? Under the law in this state, if one person’s negligence is a direct cause of another person’s wrongful death, the negligent person may be ordered to pay full damages to the victim’s family. A wrongful death lawsuit may, in fact, be the proper response to a number of tragic scenarios. Sometimes traffic fatalities are wrongful deaths, but a slip-and-fall from the balcony of an office building or a hotel due to a damaged safety railing is also a wrongful death. 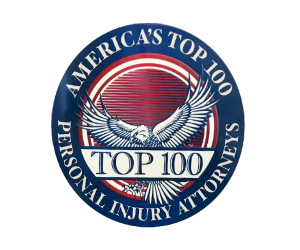 Defective consumer items – everything from defective prescription drugs to malfunctioning kitchen appliances – also cause far too many wrongful deaths. Wrongful deaths happen every day in almost every conceivable circumstance. HOW DO EXPERT WITNESSES HELP WRONGFUL DEATH SURVIVORS? In wrongful death cases, witnesses who are considered “experts” can provide insights, details, and explanations that may not be familiar to juries, judges, plaintiffs, defendants, and attorneys. Wrongful death lawyers routinely consult with professionals who may offer testimony as experts in wrongful death cases. In some cases, a wrongful death claim can be substantially enhanced by a statement or testimony from an expert witness. Not every wrongful death case will require an expert’s testimony, however, but your wrongful death lawyer will help you to determine if expert testimony will be needed in your own case. Although there is no single, universally-agreed-upon definition for what an expert is, academic credentials, special training, and professional experience are the widely-accepted indications of expertise in a particular field of knowledge. EXPERTS AND LAY WITNESSES – WHAT ARE THE DIFFERENCES? Lay witnesses in a wrongful death case usually have a personal, direct tie to the case, and their testimony is usually based exclusively on personal knowledge. Expert witnesses, however, have no personal involvement in a wrongful death case. 1. What do the facts tell us? An expert can provide neutral, credible testimony about the facts of the incident that led to your loved one’s death. 2. Who is liable? Proving what happened is only the first part of your wrongful death claim. You also must provide a legal reason why the court should order the defendant to pay damages. An expert witness may be able to help you establish that legal reason. 3. What are the damages? Experts can demonstrate to a judge or jury why the damage amount you are seeking is a just and fair sum. WHAT KINDS OF EXPERTS ARE CALLED AS WRONGFUL DEATH WITNESSES? If you lose a loved one because another person was negligent, which experts should be asked to speak on your behalf? Obviously, it will depend on the way that your loved one died. A wrongful death that happens when a building collapses, for example, may require expert testimony from an engineer or an architect. In a medical malpractice-related wrongful death, a family may need a statement from an acknowledged medical expert. If your loved one dies because of defective tires or brakes, an automotive engineer or a certified mechanic may be needed as an expert witness. Other professionals who are frequently called as expert witnesses in wrongful death cases include: medical examiners, accident reconstruction specialists, civil engineers, ballistics experts, toxicologists, and a variety of other professionals and specialists. WILL YOUR FAMILY NEED AN EXPERT WITNESS? A good wrongful death lawyer will recommend the expert you need – if you need one. If you have lost someone you love due to another person’s negligence, an expert can provide powerful and persuasive testimony and insights, but you should understand that expert witnesses are usually paid well for their expertise and their time. Like any other decision regarding a wrongful death lawsuit, you will need to discuss with your attorney whether an expert will be necessary in your own wrongful death case. WHAT WILL IT COST YOUR FAMILY TO PURSUE JUSTICE? Survivors in the greater Chicago area who have lost a loved one because of another person’s carelessness or negligence have every right to pursue a wrongful death claim with the help of an experienced wrongful death attorney. Survivors may be compensated for their loved one’s final medical expenses, for the loss of future earnings and earning capacity, and for the loss of companionship and consortium. If you have lost a loved one – or if this kind of tragedy happens in the future – it will not cost you anything to learn more about your family’s legal rights as survivors. A wrongful death attorney will review your case and discuss your options at no cost and with no obligation. If you and your attorney chose to file a wrongful death lawsuit, you will pay no attorney fees until a settlement or verdict is recovered on your family’s behalf. Scheduling that free, first consultation with an experienced wrongful death lawyer should be your family’s first step after a wrongful death. Yes, it will be emotionally difficult, but you must consider filing a wrongful death claim as quickly as you can after a wrongful death. When you’ve lost a loved one, get the legal advice you need immediately. That is your right.